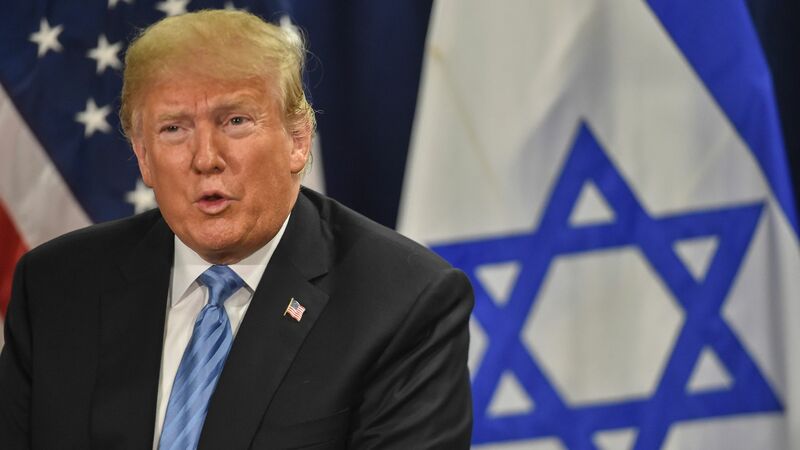 President Trump said yesterday that he is ready to renew aid to the Palestinian Authority under certain circumstances, a message that went largely unnoticed because of the focus on his statement of support for the two-state solution. Why it matters: Trump's statement, made during his press conference with Israeli Prime Minister Netanyahu, seems deliberate and meant for the ears of Palestinian President Mahmoud Abbas. It looks like another overture by Trump as he tries to get the Palestinians — who cut ties with the U.S. over Trump's decision to move the U.S. Embassy to Jerusalem — to come back to the table. Just two weeks ago, Trump cut all U.S. aid for the Palestinians, which totaled $550 million annually. "As you know, we were paying them $550 million a year. Now, we’re paying them nothing a year. Because we were — for years and years, we were being abused by the leadership of the Palestinians and giving them all of this money. So, now we’re not. But that will start up again and ... I look forward to it because they use it for some purposes that are good, and some purposes that are not good, and not acceptable."